Loft47 provides Real Estate Brokerages & Agents with the first workflow automation solution for Real Estate back office and accounting management. Why Nudge.ai? Reach out to the decision makers at Loft 47 with a personalized email - let them know that you found their recent news mention interesting. Nudge.ai’s relationship intelligence platform can help you find the right executive to reach out to at Loft 47, such as Sasha Hryciuk, . Then get in touch and start a conversation. Executives can be difficult to reach, but every company has connectors who bring together people and ideas. At Loft 47, people like Lana Topham are likely connectors. 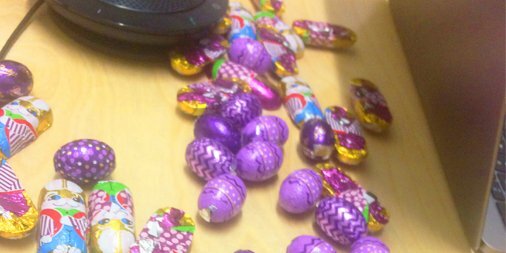 Team meetings made better with Easter chocolate.Thanks, @PurdysChocolate , for never disappointing. And #HappyEaster , friends! Who in your network can introduce you to Loft 47? Nudge.ai finds the best pathway to reach contacts at this company.